If you or a loved one have been arrested in Melbourne, Brevard County, or anywhere in Central Florida, the experience can be frightening and confusing. A criminal charge can jeopardize a person’s livelihood, relationships, freedom, and reputation. In these turbulent times, you need a team of aggressive, experienced criminal defense attorneys working diligently on your behalf. You deserve attorneys who will protect and defend your legal rights – You deserve a Life Line! The Canina Law Firm was formed on the belief that the role of the Defense Attorney is to unconditionally help their client through every obstacle, and to treat them as if they were family. Our Firm sets itself apart from others in the level of personal service and attention we provide to our clients and to their cases. While other, higher-volume law firms may depend on advertising, we depend on something that is earned, and not bought – Our Reputation. Our family has been, and will always be, 110% committed to helping our clients through the worst times in their lives, defending our clients vigorously from start to finish, and to keeping them fully informed and advised at every stage of their case. 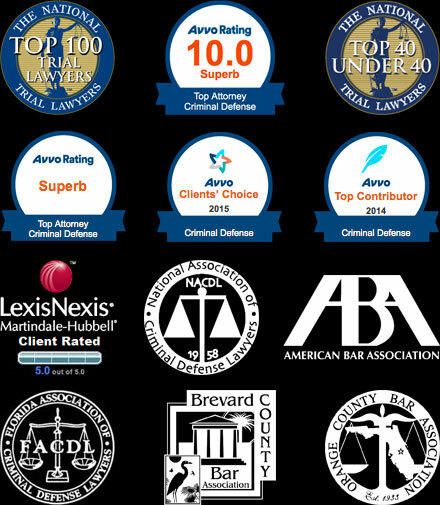 Our team of Brevard County criminal defense attorneys will work hard to get you the best result possible! If you have been arrested in Melbourne or anywhere in Brevard County, FL, CONTACT our office for a free consultation and start fighting back today! Copyright © 2012- The Canina Law Firm, P.A. - All rights reserved. Site designed by The Rusty Pixel.